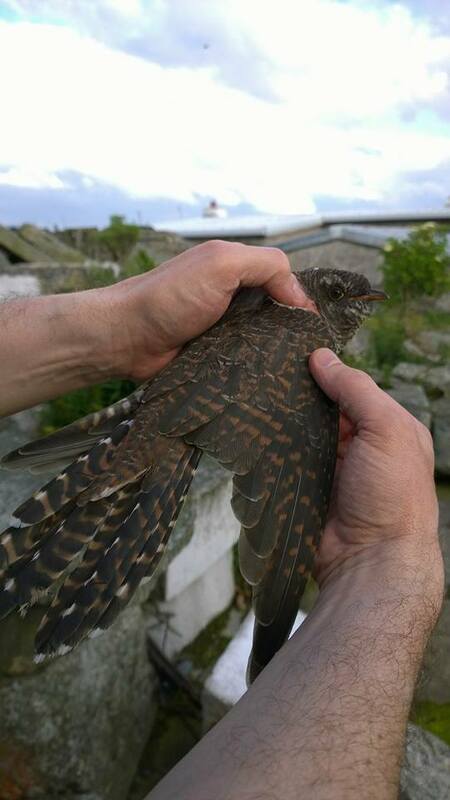 The 63rd consecutive season at Copeland Bird Observatory came to a close at the end of October, and although we somehow missed all the rarities that poured into the UK and Ireland through September/October, it was still a decent year for bird ringing. A total of 1344 new birds were ringed at the Observatory in 2016 with a total of 46 different species. There were 10 controls (birds originally ringed somewhere else) handled – 1 Goldcrest, 1 Chaffinch, 3 Lesser Redpolls, 3 Goldfinches and 2 Storm Petrels. There were a number of CBOs birds recovered elsewhere including a Herring Gull to Argyll and Bute, Black-headed and Common Gulls in North Down, Outer Ards and Lough Neagh, 5 Arctic Terns now breeding on Anglesey, Wales – including a 26 year old, 11 Lesser Redpolls controlled across the UK – Suffolk, Yorkshire, Hampshire, Lincolnshire, Calf of Man etc. and 1 Chiffchaff controlled at Skokholm on return passage in April 2016. We had an unprecedented five Manx Shearwaters recovered (found dead on beaches) in Brazil between the 26th September and 12th October 2016 and a further four birds now breeding on the Calf of Man and one bird on Bardsey Island.